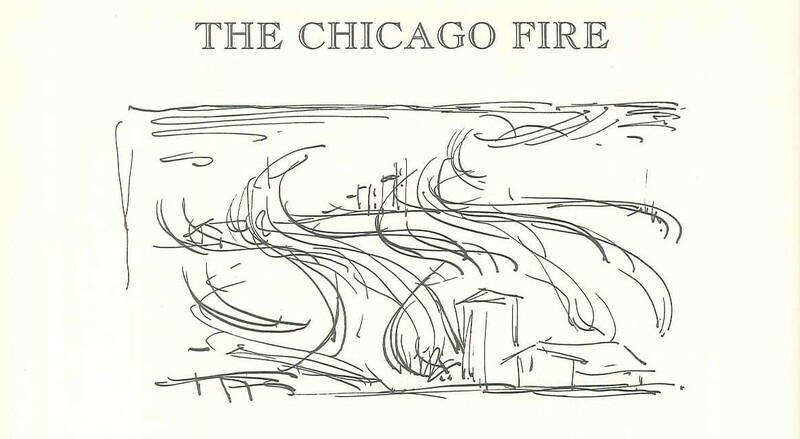 The Great Chicago Fire began on the night of October 8, 1871, and raged through the next day, until rain on October 10 aided firefighting efforts. Several merchants who lived in Oak Park saw their Chicago business wiped out. Edwin O. Gale’s pharmacy business in the city was destroyed. Joseph Kettlestrings loaned Gale $10,000 to restart his business, and William Steiner, who owned a general store in Oak Park, offered Gale unlimited credit with no interest for a year, to restock. Suburban development was already well under way by 1871. Oak Park’s established rail transportation placed it favorably for people who wanted to move out of the city after the fire. In the Oak Ridge area land that sold for $1,000 an acre in 1871 had jumped to $3,000 by 1874, but could still be had for $700 an acre in Ridgeland. [iii] There was rapid commercial development in the first few years after the fire. As business and population boomed, the railroad station was moved to the new commercial center east of Harlem in 1872. The Great Chicago Fire left an estimated 300 people dead and 100,000 others homeless. More than 17,000 structures were destroyed and damages were estimated at $200 million. The same day the Great Chicago Fire began “the most devastating forest fire in American history swept through northeast Wisconsin, claiming 1200 lives.”[iv] The fire broke out near Peshtigo, Wisconsin, where more than 800 people perished. Over 300 unidentified victims are buried in a mass grave in the Peshtigo Fire Cemetery. Property damage estimates are about the same as for the Chicago fire. [iv] https://www.weather.gov/grb/peshtigofire Estimates of the number killed range from 1,000 to 2,000.